Ethereal/Storytelling combination of portraiture with nature/landscapes, by Canadian artist Elizabeth Gadd. There's something truly special about seeing artwork printed in person, allowing the appreciation of every detail rather than just viewing on a computer screen. I'm so happy to have the images below available to be printed on a variety of materials - with free shipping worldwide. If you don't see a particular image here that you wish to purchase, or if you'd prefer a different printing option/have any other questions, please contact me. I will happily customize an order for you. Your support is appreciated beyond measure, I truly can't thank you enough! Click the boxes below to select your size (in inches) and material. Prices are in USD. Shipping is free worldwide. Printed on 100% plant based, acid free and pH neautral paper with a smooth matte finish. 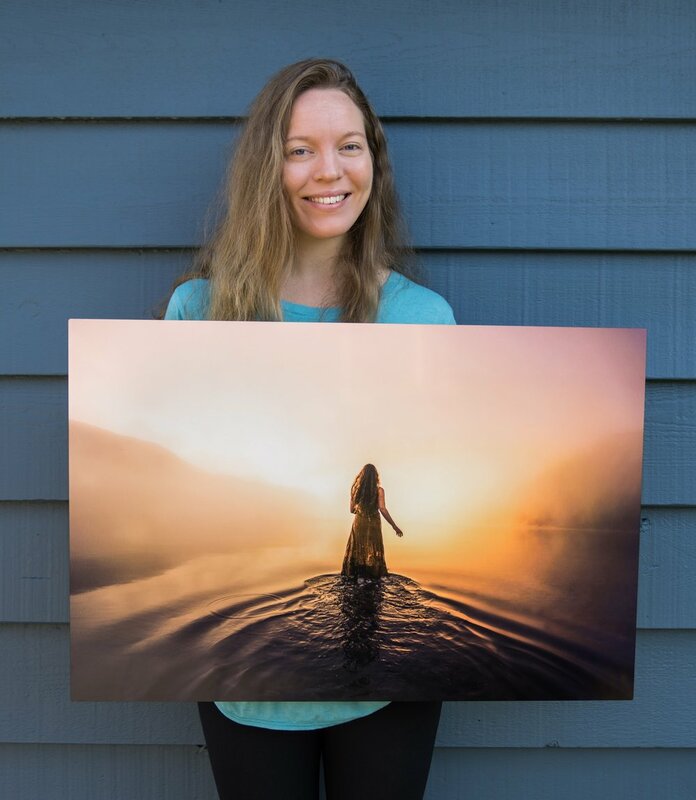 Fine Art Print with smooth matte finish, mounted to the front of a sleek lightweight foam base with 0.75 inch depth and black edges. Arrives ready to display, backed with hanging holes. Printed directly onto high quality aluminum with a smooth semi-gloss finish, this option shows off clean and vibrant colors like no other medium. Arrives ready to display, backed with metal hanging brackets (0.75 inch depth). This will keep you updated when I release new blog posts/articles, print sales/giveaways, future workshops and other news. I’m so glad you’re on board! Thank you!